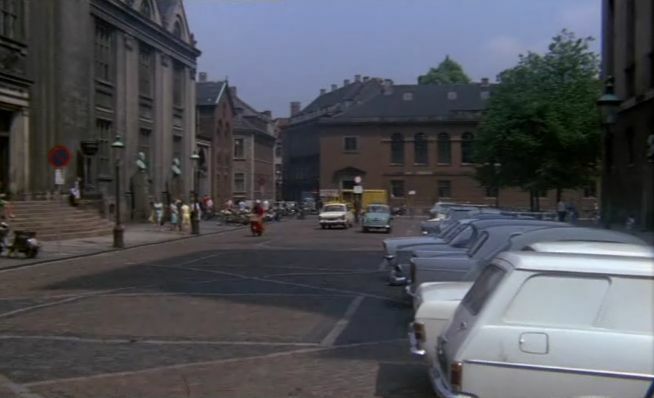 IMCDb.org: 1963 Opel Kadett Varevogn [A] in "Uden en trævl, 1968"
1968 B Sedan behind it. If it's the white one next to it, I think Cortina Mk2. And a white Corsair in background centre of the square.